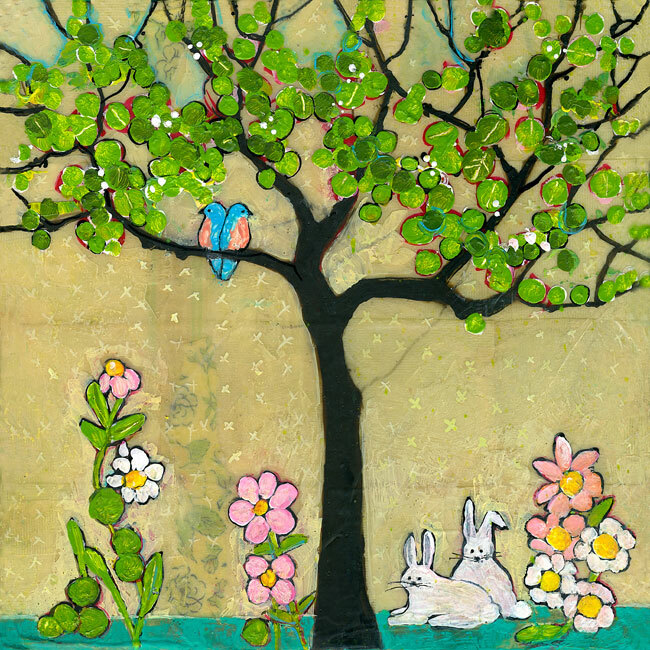 You could be the winner of this limited edition print, titled "Pair Tree". It's so easy to enter! All you do is leave a comment answering one easy question. The "Pair Tree" is now available as a signed and numbered limited edition print of only 50. To help celebrate I'm giving away the first print! Winner will receive #1/50 signed and matted limited edition print ($45 value). See the listing for print details. Leave a comment and answer this question: I'm repainting my guest bedroom and need help picking on a paint color. Help me decide.....What is your favorite bedroom wall color? If for some reason you are unable to leave a comment here on my blog, you can instead head on over to my Facebook Page and comment there. Plus you get an extra entry for joining my email list. Winner will be randomly selected and announced on the blog Monday March 23rd. If you have already ordered this print and you become the winner, you will receive credit on additional purchases.